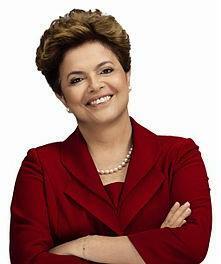 Concordat Watch - Brazil | Was Brazil�s �stealth concordat� the price for electing Dilma? President Lula da Silva needed Church support for his chosen successor, Dilma Rousseff and a concordat was part of the price. To hide this betrayal of Brazilian secularism, there was a secret signing at the Vatican, the Evangelical press kept silent, and bishops lobbied to avoid a congressional debate. Yet once the Vatican got its concordat, the Church attacked Dilma and got a further concession, that she stop insisting that a woman's reproductive freedom was a human right. The President of Brazil, Luiz (“Lula”) da Silva, had a deadline for getting key legislation passed and ensuring his succession. His second term of office ended on the first day of 2011 and the Constitution barred him from seeking a third term. For his chosen successor, the little-known Dilma Rousseff, he needed the religious vote. He also hoped to alter Brazil’s energy laws to funnel more revenue from the undeveloped oil fields to government coffers and set up funds to improve education and health care. For this he required the co-operation of politicians who happen to be friends of the Vatican. The year after the papal trip, the Brazilian President paid a return visit to the Vatican which in Brazil was assumed to be just a courtesy call “on the way to Washington”. It was later reported that Pope Benedict received Lula in his ornate private library, greeting him at the door with, “Thank you very much for the agreement that will be signed.”  After an exchange of gifts he was ushered into the Treaty Room for the signing of the unpublished concordat. A few minutes before the concordat was signed at the Vatican, the President of Brazil met the Pope in his private library and gave him a piece of folk art. It portrays country women with loads on their heads. The concordat helps divert state resources to the Catholic Church, instead of to people like them. When, despite what looked to some like widespread press censorship, word of the concordat slowly spread, various methods were tried to cut off the debate. In early May Celso Amorim, the Minister of External Relations who had signed the concordat on behalf of Brazil, called for a change in the way treaties were approved. No longer, he argued, should they be required to be ratified by Congress. The approval of a committee from his own department would be quite sufficient. Another politician claimed that having the concordat discussed by a Government committee in a closed meeting, rather than in Congress, would be “more focussed than a public hearing”. By the end of May this legislative change had been formally proposed, one deputy noting with approval that it would provide “greater efficiency and speed” than a Congressional debate. In mid-June, yet another move was made to try to rush the concordat through. That’s when the Brazilian Bishops’ Conference sent one of their members to visit the President of Congress and ask his help in pushing through the concordat as fast as possible  — a direct attempt to interfere with the democratic process. Finally it was ratified by Congress on 28 September and by the Senate on 7 October 2009. The previous year, for the secret signing of the concordat in 2008, President Lula had brought along his Minister of Energy and chosen successor, Dilma Rousseff. His sudden reversal on the concordat, which just the year before he’d said he’d never sign, looked to many like an attempt to buy Church approval for his successor in the coming election. However, none of this appeared to concern Benedict XVI. Less than a week before the final electoral round he publically told Brazilian bishops to remain firm in their opposition to abortion and said that even to discuss such legalisation was to betray democracy “at its very roots.”  Of course, he was careful not to formally address his remarks to the Brazilian electorate, to avoid charges of political interference. The continued drumbeat of religious opposition forced Dilma to make concessions. She renewed the promise that Lula made during the papal visit, by making a public commitment not to liberalise the current abortion law. Thus her election appears to have been at the cost of at least two victories for the Vatican: first, the imposition on the whole country of a far-reaching concordat and second a blow to Brazilian women’s right to choose. This concordat has many names. During its passage into law the concordat, officially called an “Acordo”, was known by still other names. When it was sent from the executive to the legislature it was a Mensagem do Congresso Nacional, MSC-134/2009, and as soon as it had been approved by the foreign relations committee, it became the Projeto de Decreto Legislativo tramitando na Câmara dos Deputados PDC-1736/2009. And when it came to a ratification vote it was the Projeto de Decreto Legislativo 716/09. See Why aren’t they all called “concordats”? 7. Cindy Wooden, “Brazil and the Vatican sign agreement on Church status”, Catholic News service, 13 November 2008. Curiously this story is not archived n the CNS site and is only now obtainable from repostings on Catholic blogs. 10. Alberto Dines, Observatorio da Impressa, 17 February 2009. Francis McDonagh, “Brazil: New accord between church and state”, The Tablet, 21 November 2008. Therefore, even though it was there in Portuguese on the Government website, it remained invisible to the outside world. When people believe that something is unpublished they are not going to search for it. Below are three accounts from the day of the signing, 13 November 2008, by the Vatican Information Service and the Catholic News Service. They are only available online now in Catholic blogs. A fourth account from a week later, 21 November 2008, is from the British Catholic weekly, The Tablet. It is not available online. This morning Luiz Inacio Lula da Silva, president of the Federative Republic of Brazil, was received in audience by His Holiness Benedict XVI. The president subsequently went on the meet Cardinal Secretary of State Tarcisio Bertone S.D.B., who was accompanied by Archbishop Dominique Mamberti, secretary for Relations with States. The cordial meeting provided an opportunity for a fruitful exchange of opinions on matters concerning the current situation in the region and in the world. Attention then turned to certain aspects of the situation in Brazil, and in particular to social policies that seek to improve the living conditions of the many people who live in circumstances of distress and marginalisation, and to favour the fundamental role of the family in the struggle against violence and social decay. The discussions also emphasised collaboration between Church and State with a view to promoting moral values and the common good, not only in the country but particularly in favour of Africa. In this context, having recalled the Holy Father's visit to Brazil in May 2007 for the Fifth General Conference of the Episcopate of Latin America and the Caribbean in Aparecida, satisfaction was expressed at the conclusion of an agreement between the Holy See and Brazil. The agreement was later signed in the course of same visit. A second communique explains that the new agreement, "which further consolidates the traditional bonds of friendship and collaboration between the two parties, consists of a preamble followed by 20 articles regulating various areas including the juridical status of the Catholic Church in Brazil, the recognition of qualifications, religious teaching in State schools, canonical marriage and the fiscal system". VATICAN CITY. Nov. 13 (CNS) When the papal meeting was over, the Brazilian president and his entourage where ushered to the Treaty Room of the Apostolic Palace where Archbishop Dominique Mamberti, Vatican secretary for relations with states, and Celso Amorim, Brazil's foreign minister, signed an agreement on "the juridical status of the Catholic Church." When the Pope visited Brazil in May 2007 and held a private meeting with da Silva, the Pope told him he hoped the agreement would be signed during his pontificate and while Da Silva was still in office. Pope Benedict did not attend the signing ceremony, but when he greeted da Silva at the door of his library he said, "Thank you very much for the agreement that will be signed." The Vatican said it would not publish the text of the agreement until it had been ratified by the Brazilian Parliament. However, the Vatican said, "it is composed of a preamble and 20 articles, which discipline various spheres, among which are: the juridical status of the Catholic Church in Brazil, the recognition of educational degrees, teaching religion in public schools," the recognition of church marriages and the access of chaplains to military bases, prisons and hospitals. At the signing ceremony, Amorim said that, while "the separation of church and state was always respected" in Brazil, the bilateral agreement -- similar to those the Vatican has signed with dozens of other nations -- makes explicit the status of the church and its institutions in Brazil. Amorim also praised the church for its contributions to Brazil, particularly in the fields of education, health care, assistance to the poor, the promotion of democracy and human rights and enlightening people's consciences about social inequalities. Archbishop Lorenzo Baldisseri, Vatican nuncio to Brazil, told Vatican Radio the agreement formally and solemnly guarantees the freedoms the church has had in Brazil to carry out its work. On the issue of religious instruction in public schools, the archbishop said class attendance always will be voluntary and that the classes will be funded by the Catholic Church. In addition, he said, "with this agreement, we open the door not only to Catholics but to other religious confessions" that want to provide religious instruction in Brazilian schools. For the first time, he said, a Vatican agreement with a nation speaks explicitly of "the Catholic Church and other religious confessions" being able to provide religious education in public schools. "This is extremely positive. It means that as the Catholic Church we affirm religious freedom, first of all," the archbishop said. The agreement guarantees "greater freedom for other confessions," he said. "This spirit of religious freedom must be at the basis of human coexistence." VATICAN, Nov. 13, 2008--Eighteen months after he visited Brazil and told the president he hoped a church-state agreement could be signed during his pontificate, Pope Benedict XVI welcomed President Luiz Inacio Lula da Silva to the Vatican for the signing ceremony. The Pope and president spent almost 25 minutes speaking privately on Wednesday, November 13 before da Silva introduced his wife, his foreign minister and other government officials. When the papal meeting was over, the Brazilian president and his entourage were ushered to the Treaty Room of the Apostolic Palace where Archbishop Dominique Mamberti, Vatican secretary for relations with states, and Celso Amorim, Brazil's foreign minister, signed an agreement on the juridical status of the Catholic Church. However, the Vatican said "it is composed of a preamble and 20 articles, which discipline various spheres, among which are: the juridical status of the Catholic Church in Brazil, the recognition of educational degrees, teaching religion in public schools," the recognition of church marriages and the access of chaplains to military bases, prisons and hospitals. At the signing ceremony, Amorim said that, while "the separation of church and state was always respected" in Brazil, the bilateral agreement – similar to those the Vatican has signed with dozens of other nations – makes explicit the status of the Church and its institutions in Brazil. A British Catholic weekly, The Tablet, published this analysis a week after the signing. It is not posted online. The Tablet, 21 November 2008. Brazil and the Vatican have signed an agreement establishing the legal framework for the Catholic Church to operate in Brazil. 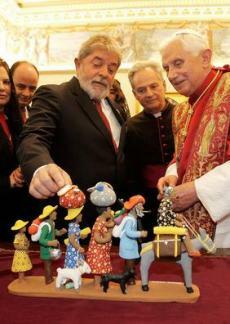 The agreement was signed by the Brazilian Foreign Minister, Celso Amorim, and his Holy See counterpart, Archbishop Dominique Mamberti, on 13 November, during a visit to the Vatican by Brazilian President Luiz Inácio Lula da Silva. The Brazilian bishops’ conference insisted in a statement that the agreement gives the Church “no privileges” in relation to other religious bodies. The document, which has not yet been published, covers the Church’s right to create and eliminate dioceses and other religious bodies, gives dioceses and church institutions tax exemption, and allows bishops to invite foreign church personnel to work in their dioceses. It also clarifies the legal status of bodies such as the bishops’ conference, which did not exist in 1890, the year of the Brazilian decree separating Church and State on which the new document is based. It appears that Brazil has resisted some Vatican demands and insisted on asserting the secular and multicultural character of the state. The clause accepting religious education in schools as a standard but optional subject puts Catholic RE on a par with that of other denominations, and stipulates that “the cultural and religious diversity of Brazil” be respected. The clause on matrimonial judgements by church courts requires them to be tested by the Brazilian courts in the same way as judgements by the divorce courts of other states, so that a Vatican decree of nullity will not have automatic effect in Brazil. On the other hand, the document guarantees “the secrecy of the priestly office, and especially that of sacramental confession”. The agreement has been under negotiation for a number of years, and the Vatican would have liked it to be signed during the Pope’s visit to Brazil in 2007, but the Brazilian Government refused. The agreement does not come into force until it has been approved by the Brazilian Congress, where it is still likely to face opposition from the powerful Protestant lobby.